Tiles add color, style, sophistication and great zest to your interior space. The interiors can be made dramatic and colorful with choosing the state of the art wall tiles and make your home a beautiful place to indulge in! There are plenty of wall tile designs available out there in the market for different parts of home. Special bathroom wall tiles, kitchen wall tiles, bedroom space tiles, living room and more! 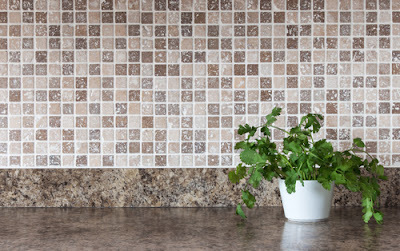 Decorating the kitchen with wall tiles adds style to your kitchen and gives a rich outlook! Yet, more commonly wall tiles in bathroom and kitchen are prone to staining, grouting, lose its shine and may lose the efficacy. 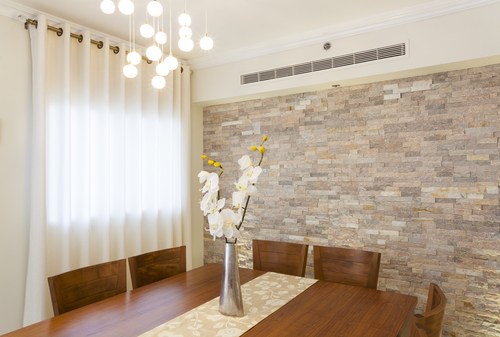 When you fix wall tiles in your home, probably you should learn about how to restore and clean wall tiles effectively. Here is your simple guide to cleaning, restoring and managing the tiles without losing its sheen. 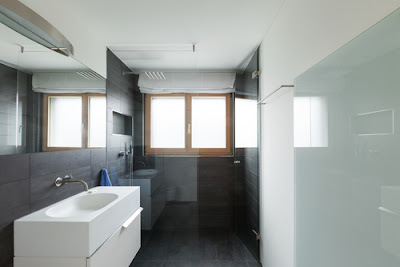 Dull and grungy bathroom with unclean wall tiles may appear like an un-sanitized environment. Grouted tiles in kitchen make it look very dull! How to fix it? This is essential to avoid the accumulation of dirt and grouting of the tiles. It helps maintaining the natural sheen. - Regularly sponge the tiles with warm water. - Add the liquid soap wash and clean the tiles once a week or every fortnight. - You can spray the liquid on the walls and clean it with sponge. In case of new tiles, you can simply add freshly squeezed lemons to the water mix and sponge the tiles. It helps retaining the natural sheen. There are many natural ingredients available to clean the tiles. Use vinegar to remove stains from bathroom tiles. Vinegar has active ingredients that remove the debris settled in the tiles very quickly. However, vinegar won’t work effectively alone. You need a carrier ingredient like warm water or liquid detergent. Vinegar removes the stain immediately upon single application. It is very affordable and easy to use. Baking soda spray is yet another cheaper solution to remove the mild stains and clean the tiles quickly. If the bathroom wall tiles appear dull but not too dirty, try this solution. Mix baking soda with warm water or liquid dish wash or even soap water. Mix it in a spray and apply on the tiles. After applying it, gently clean with wet cloth and wash the tiles with water. Chlorine is the best bleaching agent and used widely to clean the floor and wall. Chlorine not only cleans the dirt and debris from the tiles, but also removes the bacterial build up, plaque, yeast, mold and other micro-organisms settled on the wall tiles. Using chlorine removes all and any kind of harmful substances from the tiles. However, it is not recommended to bleach the tiles in dark color as the color may fade away. Be safe when you chlorine and wear gloves. Grouts are ugly, both in kitchen and bathroom. Grouts in other places are rare phenomena. Yet, it may ruin the outlook of the interiors. How to get rid of grout? Take equal parts of fresh lemon juice and cream of tartar. Mix it into a fine paste. - Spot the dirty areas and apply wet sponge. - Use an old tooth brush and apply the paste on the spotted areas. - In case if the grouts spread over large areas, you can use a scrubbing brush that has soft bristles. - Don’t use hard bristles, which may damage the surface of the tiles or reduce the glaze of the tiles. - After applying the paste, clean the tile with warm water and baking soda mix. - Spray plain water to remove the remnants of the tile cleaning products. - Repeat after two days if necessary. Grout stain removal may need multiple application, at least twice. It is better to follow a routine care, instead of crying later. What to do in case of hard stains? Don’t use hard products to remove the stains and debris. It can strip the top layer of the wall tiles. Similarly, using the harsh chemicals may even harm the environment as well as may affect kids and pets. - To restore the tiles with hard stains, you can use furniture polish. - Alternatively use lemon oil on the surface of the tiles and rub it with microfiber cloth. - Using any of these two ingredients help restoring and retaining the gleam on the tiles. In case of ceramic tiles, you cannot use chorine or any other bleaching agent. You can use the mild ingredients like diluted vinegar to clean the tiles. Special low-acidic cleaner are available in the market place, which is specifically designed for ceramic tiles. It restores and cleans the ceramic wall tiles without actually damaging or stripping the tiles. Always use a microfiber cloth or sponge to remove the stains from the tiles. It works effectively than other fiber. In addition to these solutions, you can choose the steam cleaning method to clean the entire bathroom. However, it cannot be applied on kitchen or wall tiles in other rooms. Steam cleaning can be used on all types of tiles and it won’t cause any damage. Steam cleaning is a bit expensive. However, it pays off well in case if you shelled out a lot in decorating your interior with expensive tiles. If the natural solutions don’t work or if you don’t have time, you can choose steam cleaning method. - When you attempt the clean the tiles, make sure the room is ventilated. - Before applying any solution, wet the tiles for easy removal of stains. Similarly, after cleaning the tiles, spray water or warm water on the tiles. - Always do a trial or patch work at any corner of the tile. If the results are satisfactory, proceed with the whole thing. - Be gentle when you clean the tiles. In most cases, these solutions will help restoring and cleaning the wall tiles. If you don’t any promising improvement or not satisfied, you can hire a service provider.